I am in love with my kids' school. They really do a lot with their students. 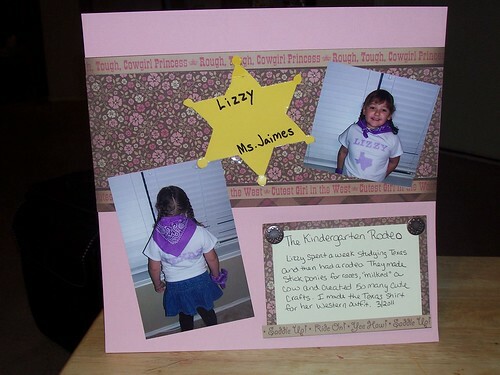 One fun day was the Kindergarten Rodeo. I made Lizzy a Texas shirt with Accucut dies and she wore a jean skirt. 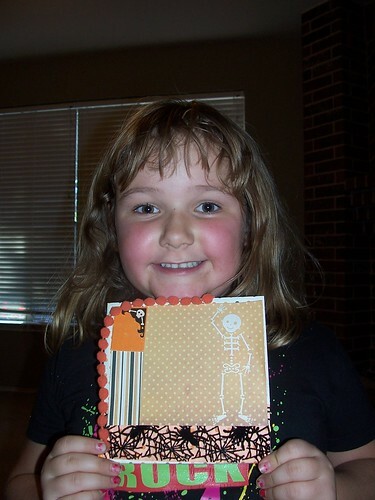 She brought home so many great things she made for the occasion. I tried to fit as many as I could on the layout. 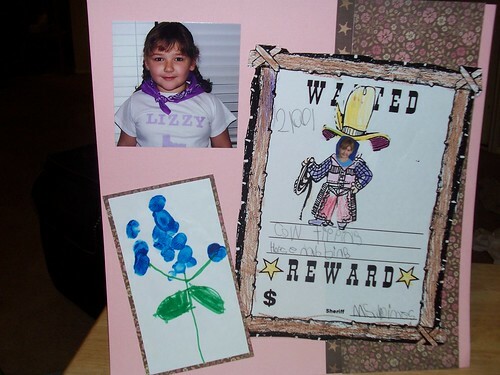 My personal favorites that she brought home are the thumbprint bluebonnet and the wanted poster. 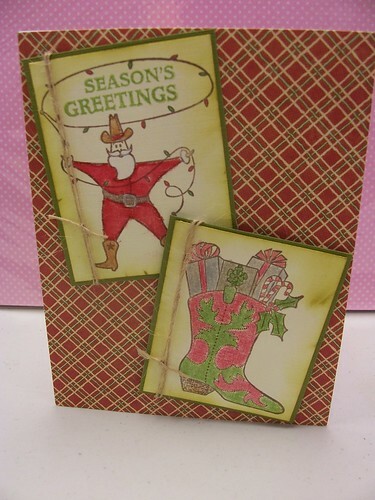 I have a couple more Texas/Western style Christmas cards to share this week. They are fairly simple but I like them. 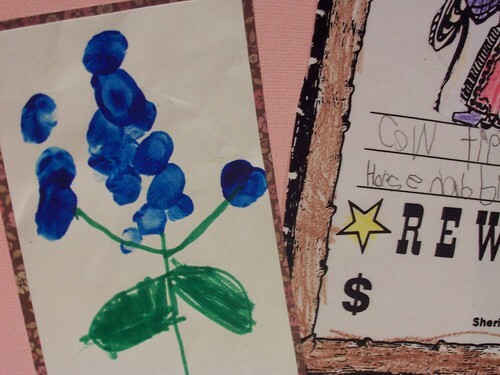 I have to admit I did not come up with the idea of using a bluebonnet stamp for a wreath but I also don't remember where I saw it. 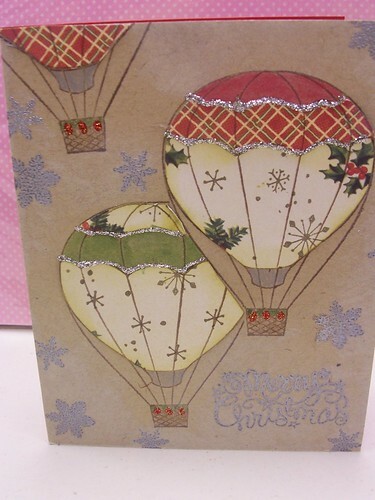 Have you seen the hot air balloons? They are everywhere right now. I found this great balloon from Deadbeat Designs at Felicia's Scrapbooks. I liked it because the balloon itself is very plain and allows you to decorate it how you wish. I am getting into a Christmas state of mind so my balloons took a merry format this time. 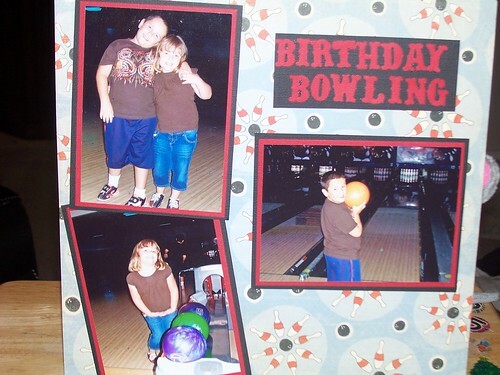 I filled my balloons in with a combo of colored pencils and paper piecing. I just pulled some small scraps from my (overflowing) scrap bin and added them to the balloons. 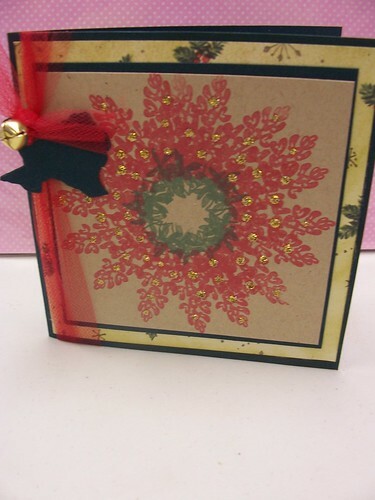 I used kraft paper again and embossed silver snowflakes and a Merry Christmas Greeting. 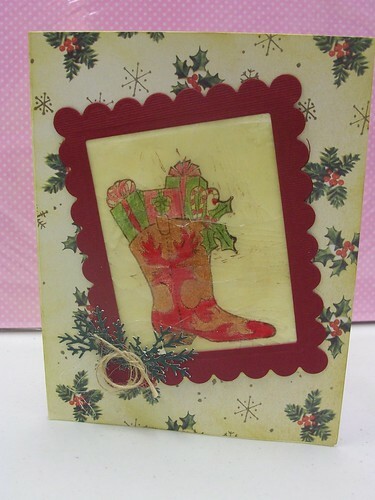 I finished the card with silver stickles and some sponged white ink for a hint of clouds. 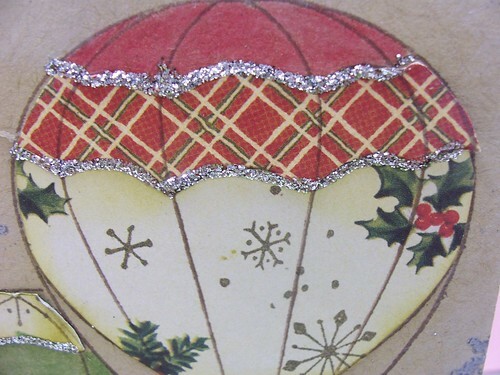 I like the idea of Santa delivering presents in a balloon instead of a sleigh. It seems I have embossing on the brain lately. 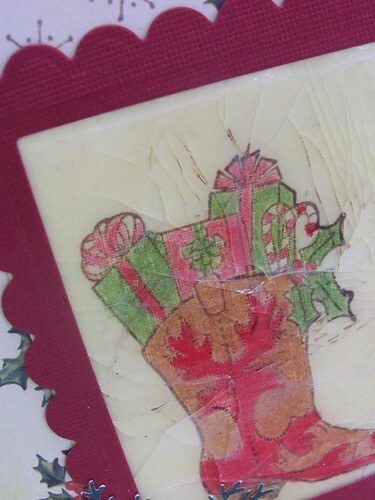 I have another fun embossed card to share. 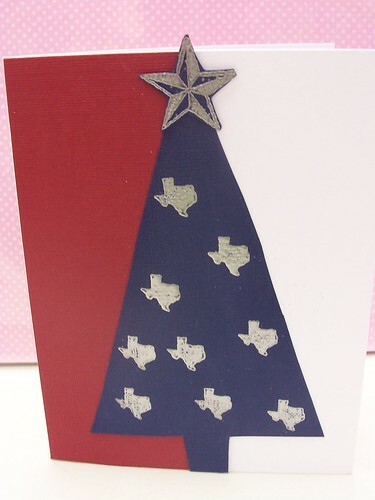 I plan to send this little guy to one of Fletcher's die-hard Texas relatives. They will appreciate it. 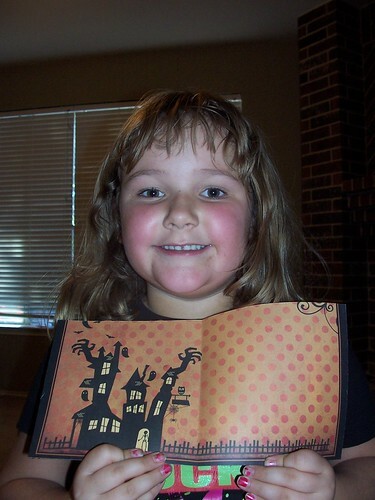 Me, not so much.